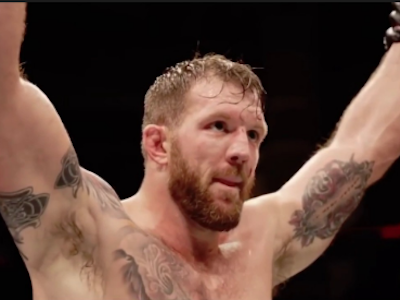 Ryan “Darth” Bader picked up the Heavyweight and Heavyweight Grand Prix titles to go along with his Light Heavyweight belt at Bellator 214 Saturday night. Bader made it to the finals of the grand prix where he faced legend Fedor Emelianenko. It took Bader just two punches and 35-seconds to stop “The Last Emperor” for a quick and easy payday. Fedor never even got to throw a punch. Take a look at how Bader ended it to become the promotion’s first double-champ.